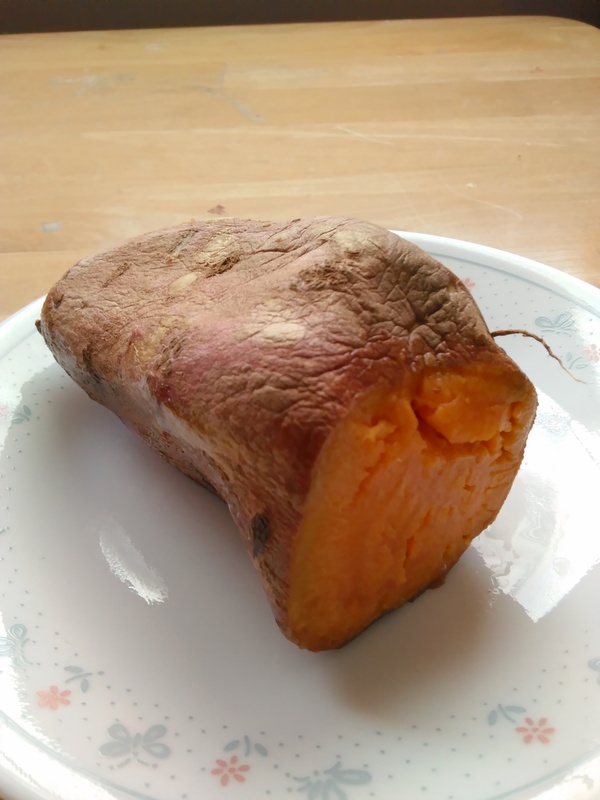 I cooked delicious sweet potatoes to go along with my dinner last night. I was in the mood for something sweet that tasted like a dessert. Sweet potatoes have so many health benefits! They are high in vitamin B6, C, D and are a good source of iron, magnesium and potassium. Sweet potatoes do not cause blood sugar spikes, ward off cancer, and protect against the effects of aging. You can enjoy them roasted, puréed, steamed, baked, microwaved or grilled. I put them in the microwave this time for a quick side dish. Take the skin off and mash the sweet potato. 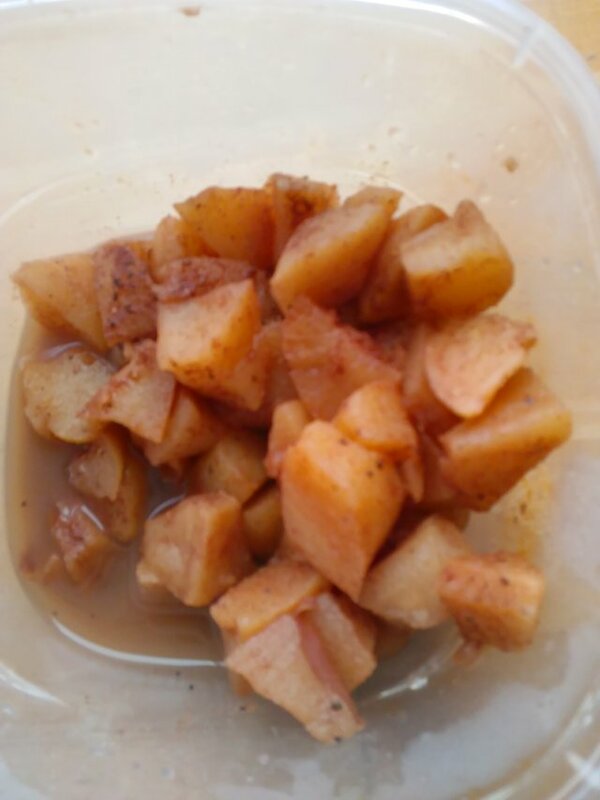 Cut up apples into small pieces and added cinnamon and nutmeg. 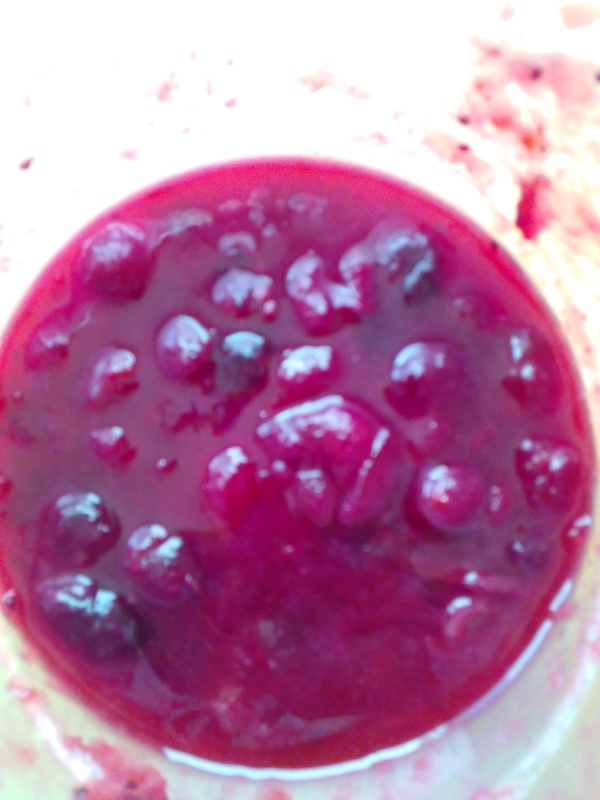 I cooked fresh cranberries but you can use a can if preferred. Combine the cinnamon apples, cranberry sauce, and sweet potato. If you have a sweet tooth and don't want to indulge in cookies, cake or ice cream, the sweet potato is a great choice! It is tasty, sweet and very nutritious! Enjoy! Your welcome:) Sweet potatoes are so delicious and could be great as a snack or part of a meal! 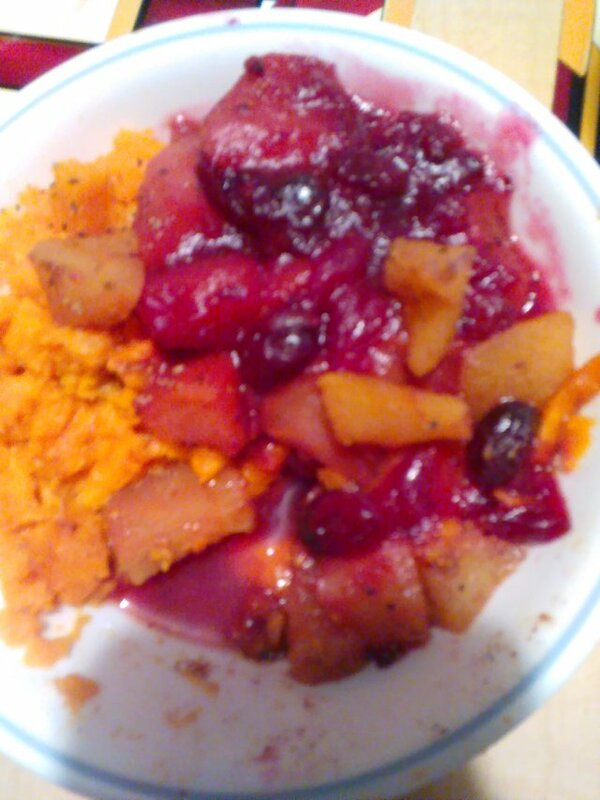 And with cranberries and apples extra delicious:) When I start getting hungry many times I reach for a sweet potato! Sweet potatoes and baked potatoes are both so yummy! There are lots of ways to cook with them or they are delicious just plain!